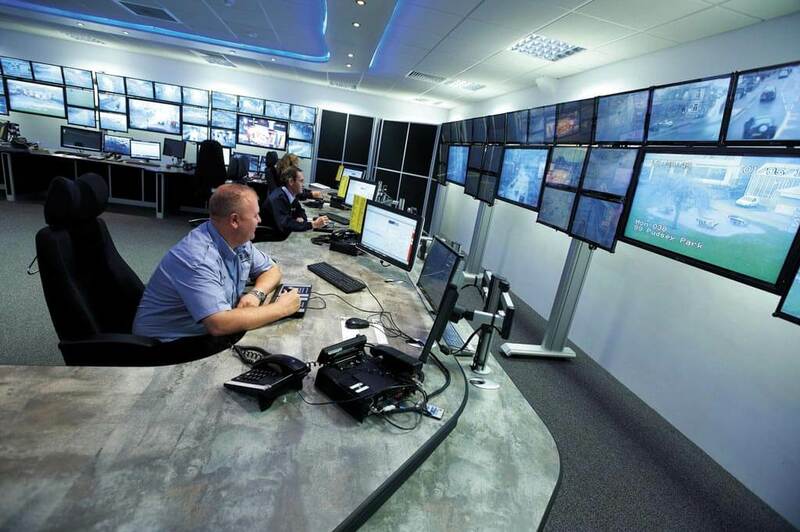 Thinking Space have recently completed a custom designed media wall for a Middle Eastern client. 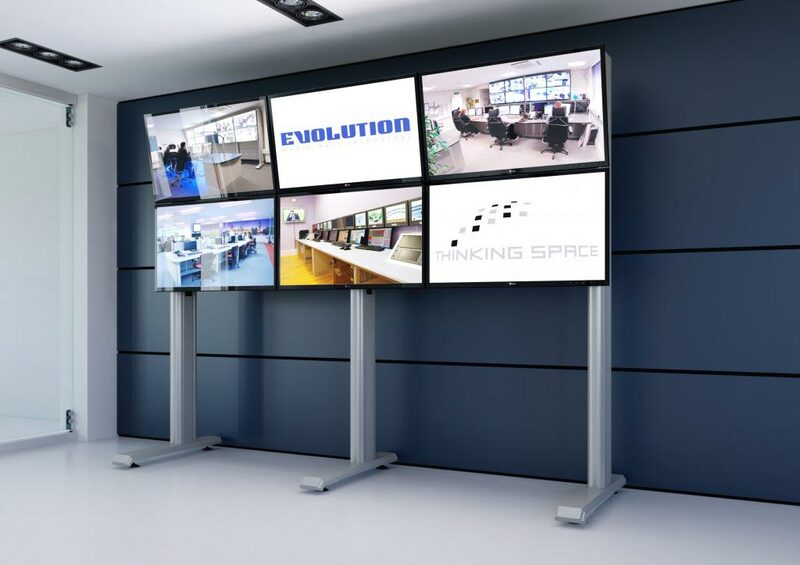 The media wall consists of six hinged sections, giving a rotation extension system to hold six 42 inch flat screen monitors. 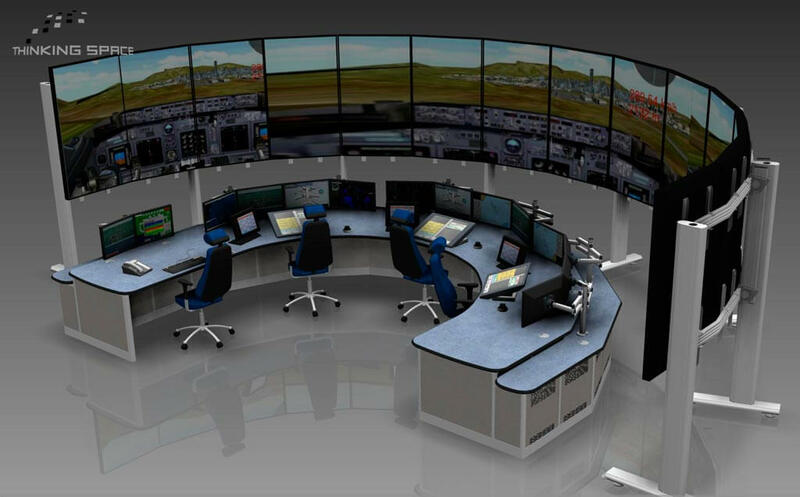 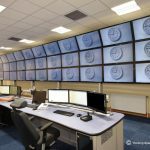 This will give the client more flexibility for positioning the media wall in their environment, an ATC simulator facility. 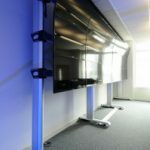 In addition, the media wall has been fitted with aluminium perforated plates behind each mounting bracket, so that a PC can be mounted locally, at the rear of each screen. 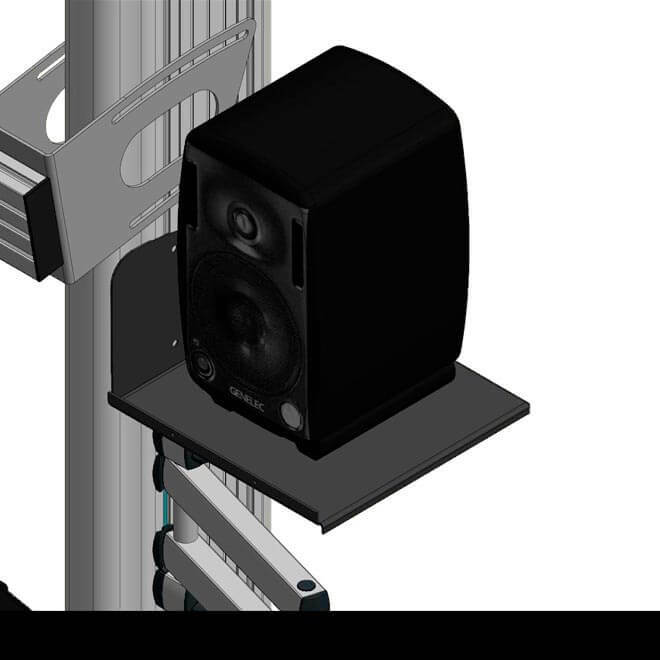 The media wall includes cable management and individually tilting cross beams for sound ergonomic viewing. 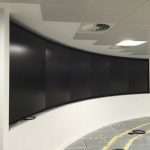 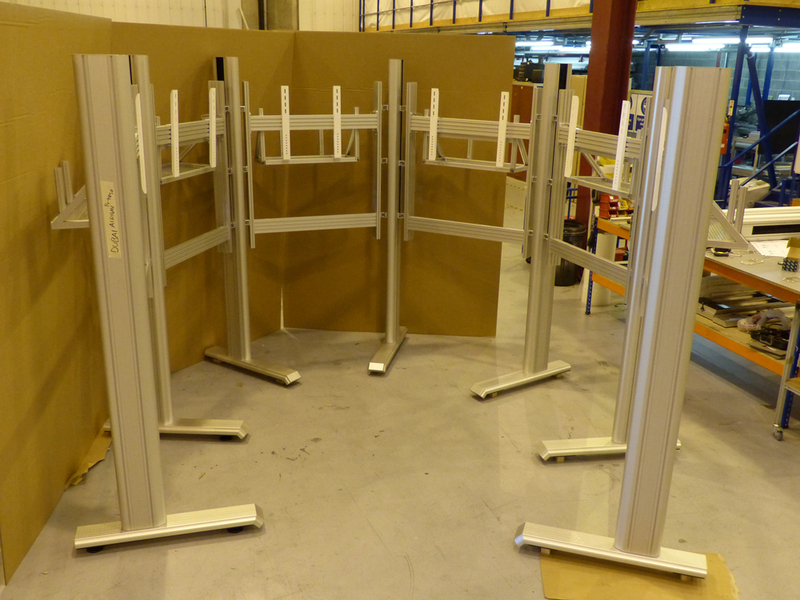 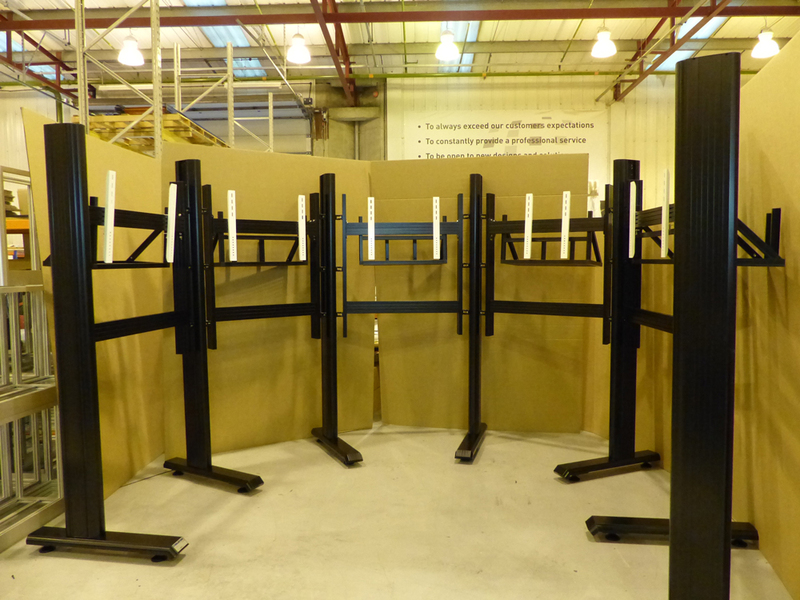 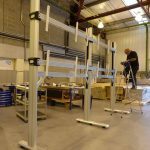 The whole media wall was assembled in the factory and then powder coated in matt black to the clients requirements, before being shipped to the Middle East.